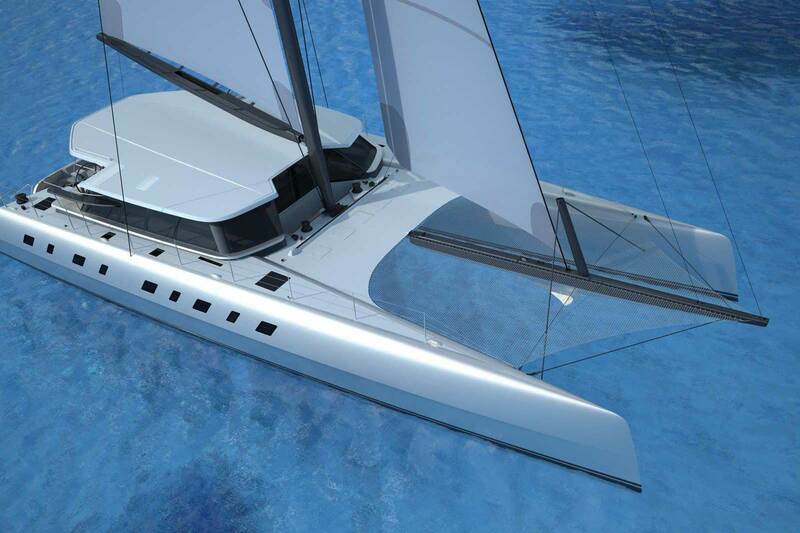 The launching of the Nigel Irens designed 78' catamaran Allegra at Green Marine heralds a new era of high performance cruising yachts. 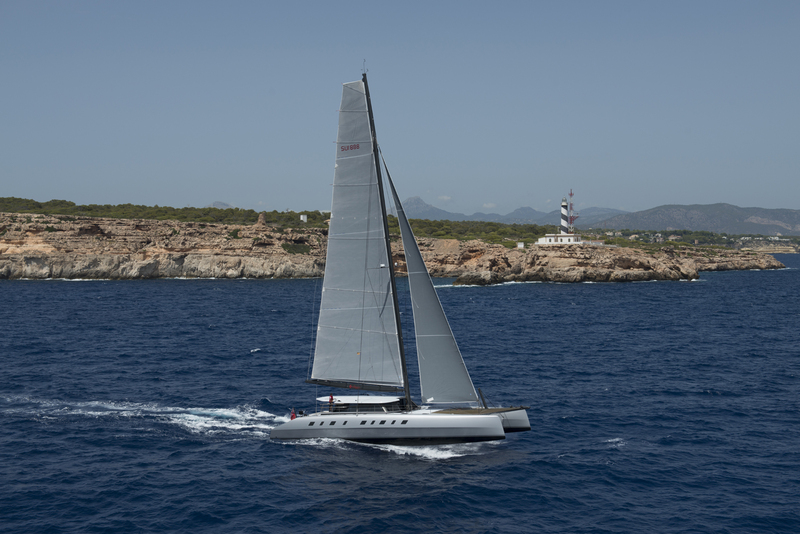 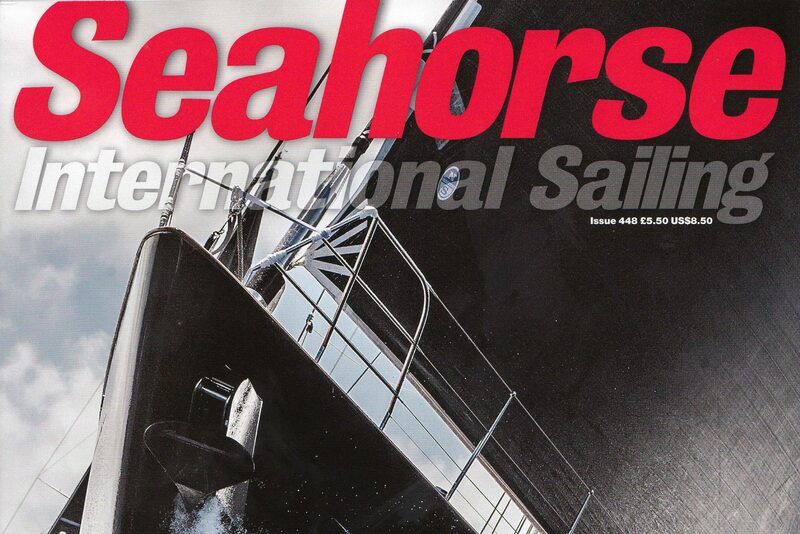 The brief for Nigel Irens Design was to create a 24m (78ft) catamaran that would genuinely out-perform quite seriously refined and longer single-hulled yachts on all points of sailing, while nevertheless retaining the comfort of a fully fitted out cruiser. 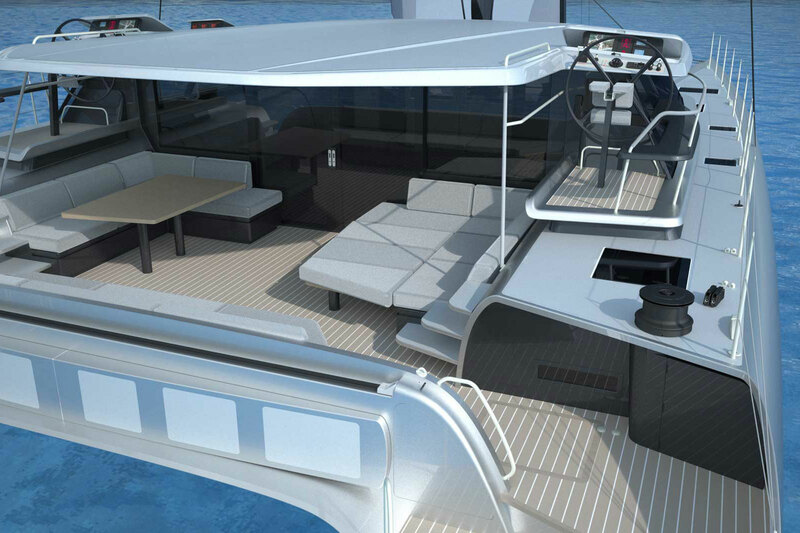 The added weight of all of the comforts of cruising has traditionally limited the increased performance potential of the catamaran configuration. 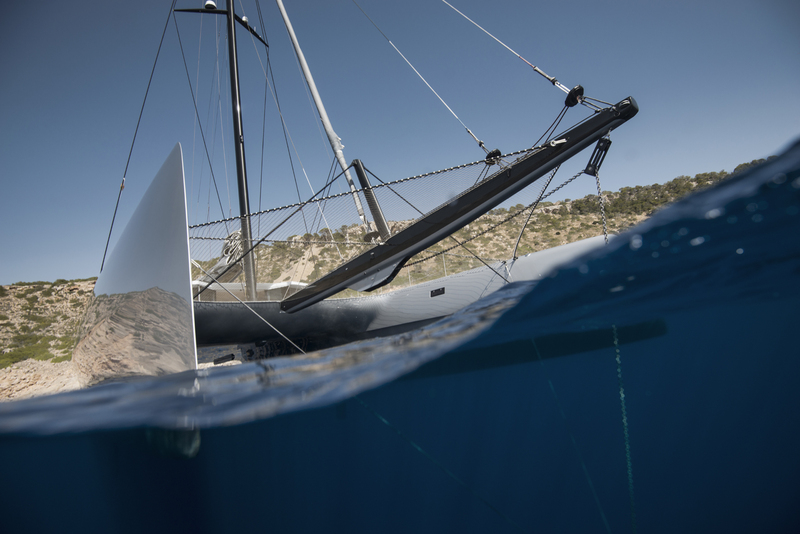 By building to the highest standards of lightweight composite construction usually restricted to racing yachts there is no longer a need to compromise. 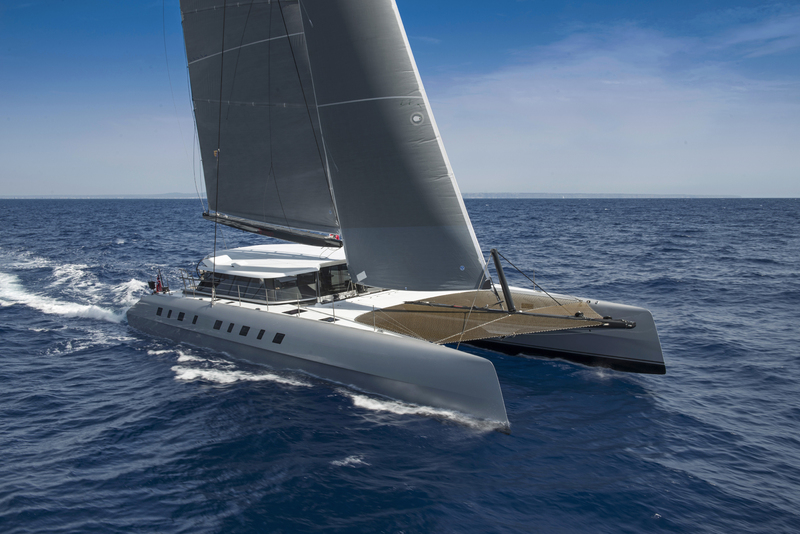 With its long experience of building Grand Prix racing yachts and its uncompromising approach to low-weight yet fully equipped cruising interiors, Green Marine is a world leader in composite construction. 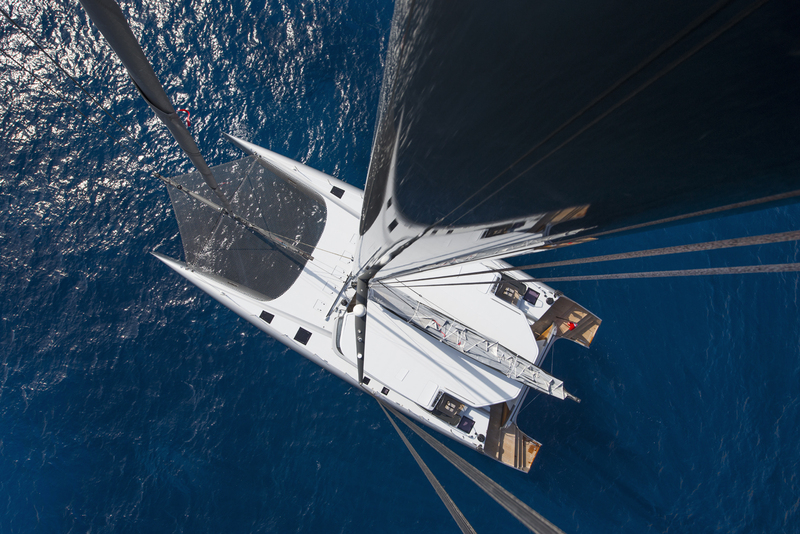 Allegra is built in carbon and Nomex and benefits from the yard’s acknowledged leadership in weight minimisation at every stage of the build. 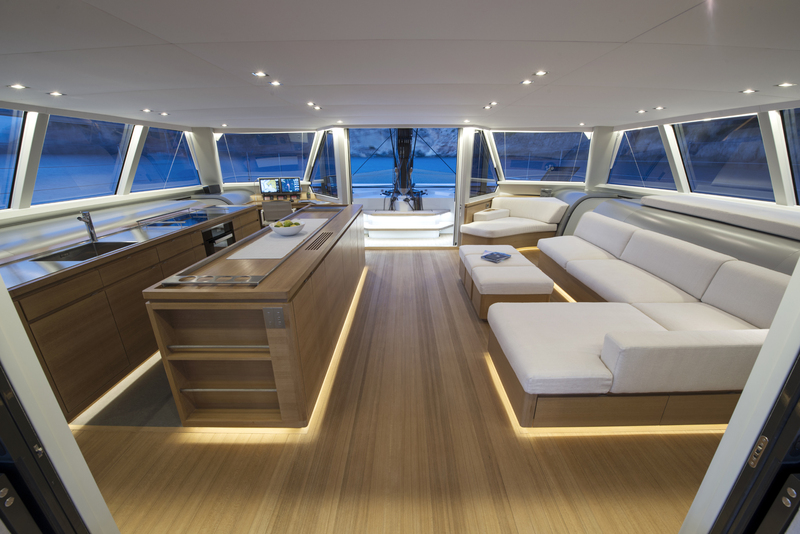 In addition to the benefits of speed and stability, a catamaran offers the possibilities of creating far more exciting interior and exterior living spaces that are unconstrained by the narrow beam of a monohull. 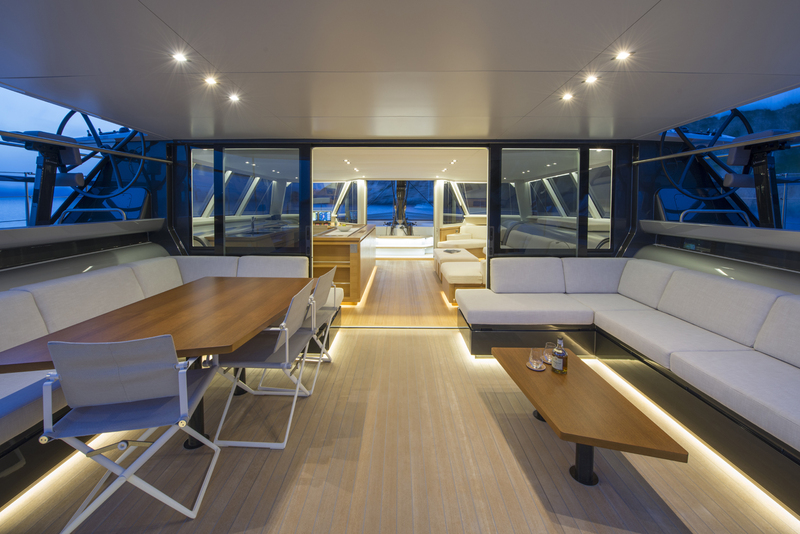 Nigel Irens Design worked closely with Allegra’s owner in creating a cruising layout that maximises the potential of the catamaran with a panoramic deck salon, superb access to the water and fully protected raised twin helm stations.